When winter comes to these mountains, can winter fun be far behind? And could there be a more perfect place than Cataloochee Ranch to relax and recharge for another day on the slopes? A winter hike on a mountain trail, a warming glass of wine by the fireplace, a cozy room or cabin to call your own – they're all part of the winter experience at the Ranch. And, with our lower rates for winter, there's never been a better time to enjoy them all. To make a simple winter pleasure even simpler, we offer Ski & Stay packages which include marathon lift tickets, ski or snowboard rentals, and a group lesson at Cataloochee Ski Area for just $80 per person – a savings of $50 per person, per day. You can make all your arrangements directly with us and pay for everything, including additional ski days, in one place on a daily basis. And the Ranch is the most convenient location to the Ski Area, which is less than a mile away. Things couldn't be much simpler than that. And your winter getaway couldn't be much better. You can pay a virtual visit to the Ski Area with this online video. For reservations, use our online reservation tool or call us at (800) 868-1401. These are a few of our favorite winter scenes. there's no warmer place than the Ranch. A blazing fire in the fireplace. Heaping breakfast platters every morning, and bountiful dinners on weekend nights. A long soak in the Jacuzzi after a long day on the slopes or the hiking trails. Could winter get any warmer? Ski season is November through March, depending on weather conditions. Please call (828)926-1401 or (800)868-1401 for information about our new, lower winter rates and Ski & Stay packages. The Cataloochee Ski Area offers great North Carolina ski vacations for skiers at every level. Click here to go to the Ski Area website. 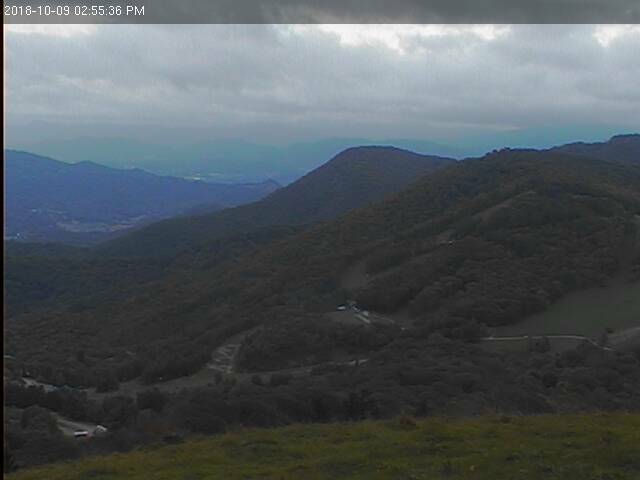 Check out a live picture of today's weather conditions from Hemphill Bald.